Europe’s Ariane 5 rocket is set for its year-closing mission on Wednesday, lifting a pair of commercial communications satellites from Brazil and Japan into orbit to deliver broadcasting and data services to Asia and the Americas. 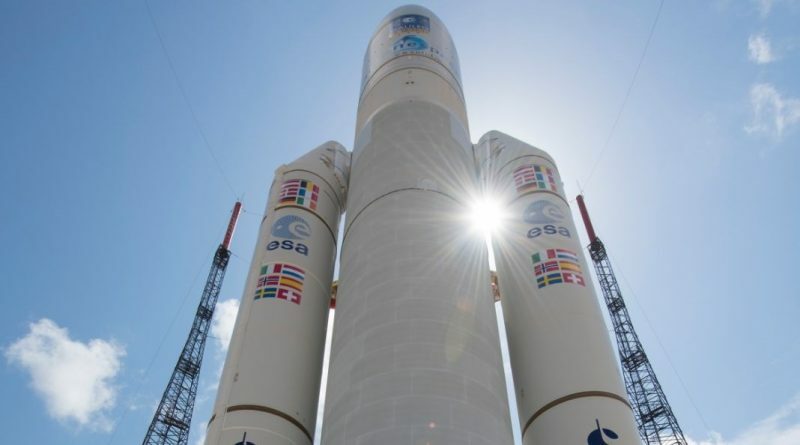 Operating its seventh launch of 2016, the heavy-lifter in Arianespace’s fleet of rockets is targeting liftoff during a 75-minute launch window opening at 20:30 UTC on Wednesday to kick off a 43-minute climb into a highly elliptical Geostationary Transfer Orbit peaking 36,000 Kilometers above the equator. Wednesday’s launch marks the eleventh mission operated by Arianespace this year – seven Ariane 5 launches, two missions of the Russian Soyuz and a pair of flights of the light-lift Vega rocket. 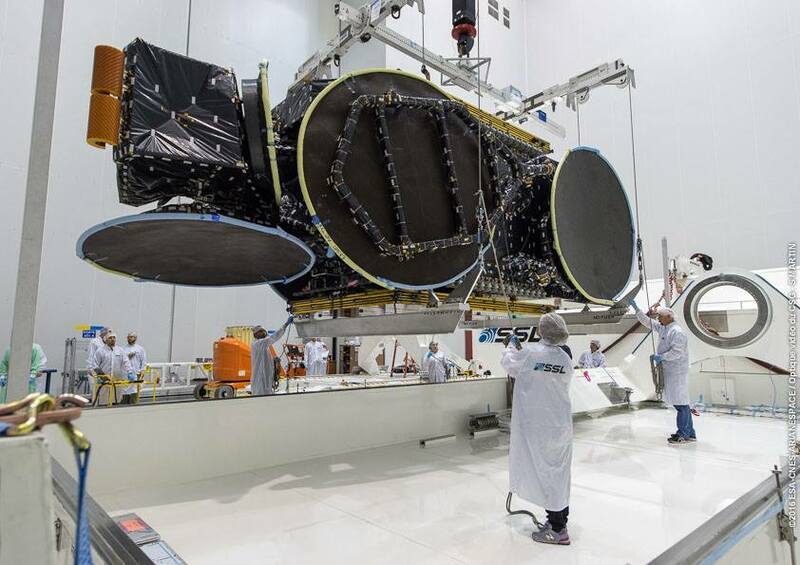 For Ariane 5, the year kicked off with a pair of rare single-payload missions for satellite operators Intelsat and Eutelsat ahead of a trio of dual-payload deliveries carrying an international assortment of satellites. Last month, Ariane 5 executed its first mission in support of Europe’s Galileo program, lifting four navigation satellites into orbit to allow the constellation to enter initial operational services. 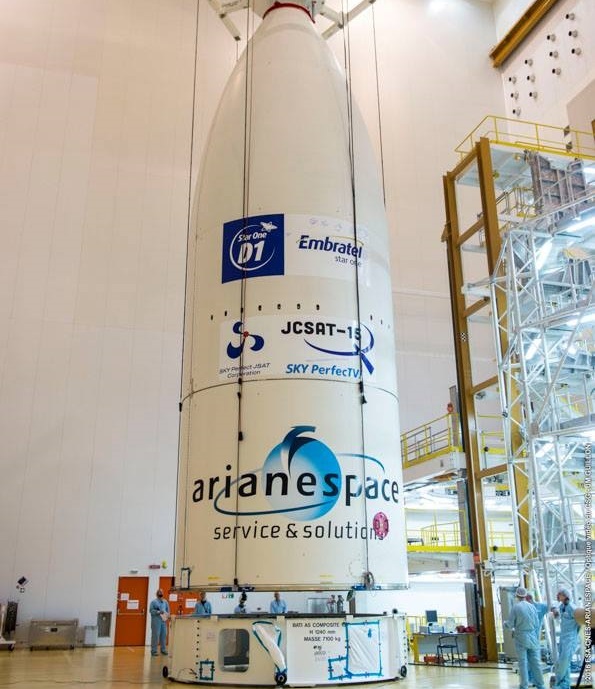 The VA234 mission will close 2016 with a typical dual-satellite delivery by the 55-meter tall Ariane 5 rocket, carrying the 6,400-Kilogram Star One D1 in the upper payload slot and JCSat-15, weighing in at 3,400 Kilograms, in the lower passenger berth. 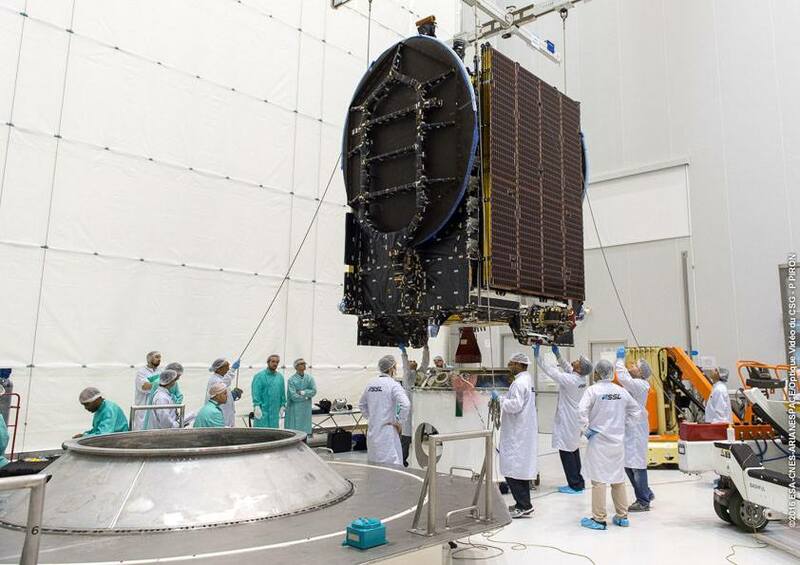 Both satellites were built by Space Systems/Loral and launch in a busy end-of-year push for the California-based company with a total of four SS/L satellites scheduled to arrive in orbit in the second half of December. 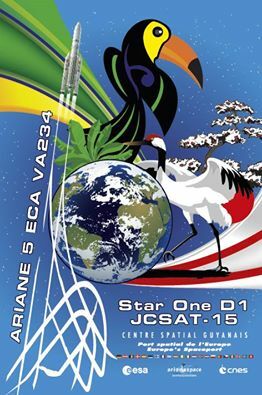 Star One D1 is the first in the fourth generation of telecommunications satellites operated by Embratel Star One, hosting a multi-band communications payload to deliver TV broadcasting, broadband Internet and other digital services to South and Central America with a focus on expanding the company’s market in Brazil. 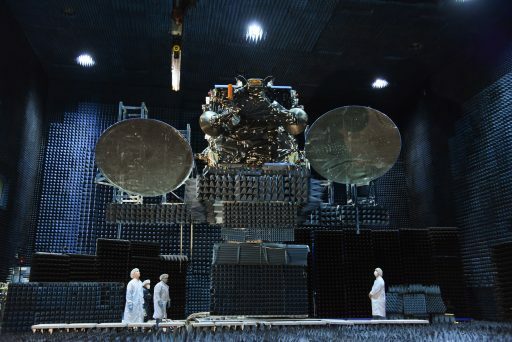 The satellite hosts 28 C-Band transponders to deliver direct-to-home television and data distribution, 24 Ku-Band transponders for TV, internet and data distribution including telephony to remote locations, and a powerful Ka-Band payload equivalent to 300 transponders at 36MHz to support high-speed data transmission and cellular backhaul. Star One D1 replaces the Brasilsat B4 satellite which is at the end of its operational life after a mid-2000 launch on an Ariane 4 rocket. JCSat-15, operated by Japan’s SKY Perfect JSAT, is a replacement for the Superbird-D satellite that has been in operation for 16 years. 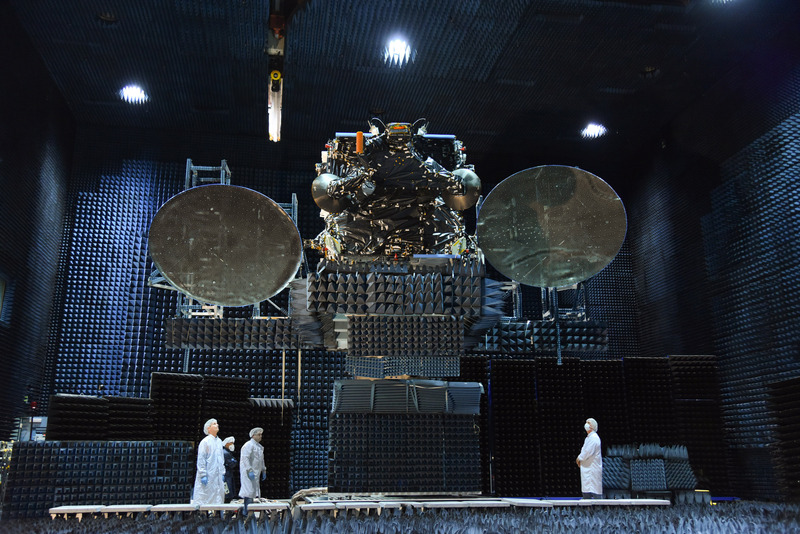 The all Ku-Band satellite was built to deliver flexible communications services to be used for video distribution in Japan, data transfer communications, and maritime & aviation applications in the Pacific and Indian Ocean Regions. Ariane will carry out what has become the standard mission profile for the workhorse, dropping the two satellites off in an orbit of 250 by 35,905 Kilometers, inclined 6.0 degrees from where the two passengers will part ways and fire their engines to reach a parking position in Geostationary Orbit where their velocity matches that of Earth’s rotation. 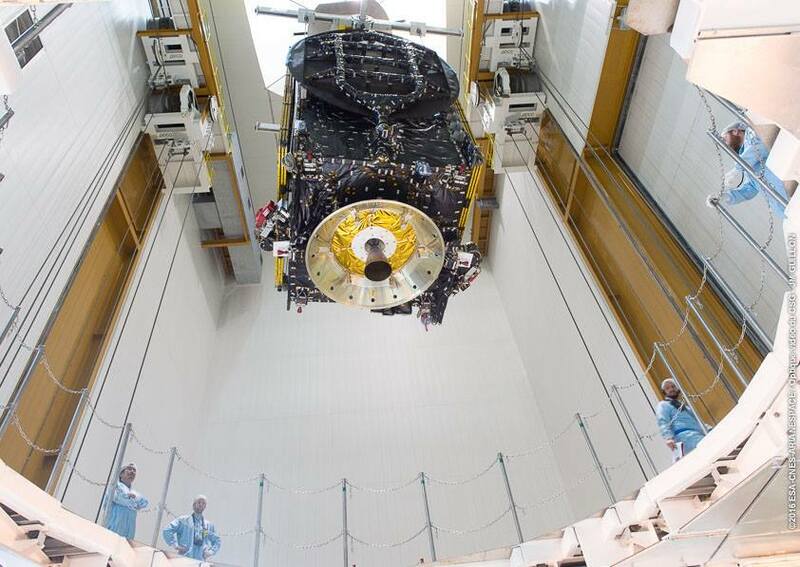 The total payload carried by Ariane 5 will be 10,722 Kilograms, including the two satellites and the various adapters needed to hold them in place during propulsive flight. The two passengers for the VA234 mission were delivered to French Guiana in late October and early November to allow SS/L and Arianespace specialists to put the payloads through a final processing flow that included fit checks with their payload adapters, loading of hypergolic propellants for use by their engines, and final testing activities to ensure both craft were ready to take flight. Assembly of the Ariane 5 rocket was completed in early November – a process that has been optimized over the two-decade career of the rocket. In just one week, teams installed the 30.5-meter tall core stage atop one of two operational Mobile Launch Tables, added the twin Solid Rocket Boosters – each loaded with 237 metric tons of propellant – and hoisted the second stage and vehicle equipment bay into position on the core stage. Ariane 5 was transferred to the Final Assembly Building on November 30 to receive its payloads – starting with the attachment of JCSat-15 to the second stage of the rocket via its payload adapter before the Star One D1 satellite, sitting on the Sylda adapter & already encapsulated in the protective payload fairing, was lowered onto the stack to enclose the lower passenger inside the Sylda. 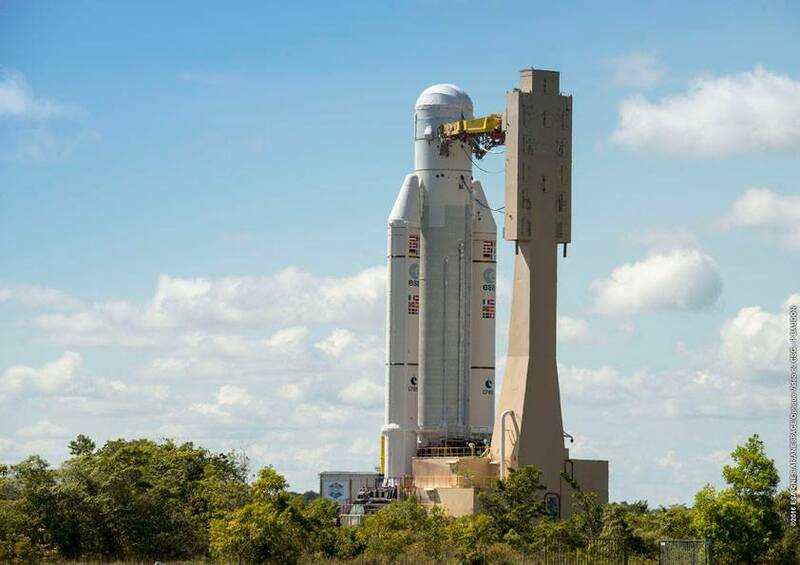 With assembly of the rocket complete, Ariane 5 went through a launch rehearsal on Saturday, leading into final arming of the rocket on Sunday and the Launch Readiness Review that cleared the vehicle for a Tuesday rollout to the ELA-3 launch pad. Emerging from its assembly building, Ariane 5 is set for a 2.7-Kilometer journey to arrive in the launch zone for its 90th mission. Countdown operations will kick off at 8:47 UTC on Wednesday, 11 hours and 43 minutes prior to the opening of the day’s launch window. Teams will be busy closing out the rocket and ground structures for the early portion of the countdown before evacuating the site for propellant loading. The Ariane 5 rocket will be powered up ten and a half hours prior to launch for detailed flight control and communications checks before committing to the tanking operation. Propellant loading kicks off five hours prior to T-0 with chilldown operations before the Liquid Oxygen and Liquid Hydrogen propellants begin flowing into the Core Stage at T-4 hours and 23 minutes followed by the ESC upper stage 40 minutes later. 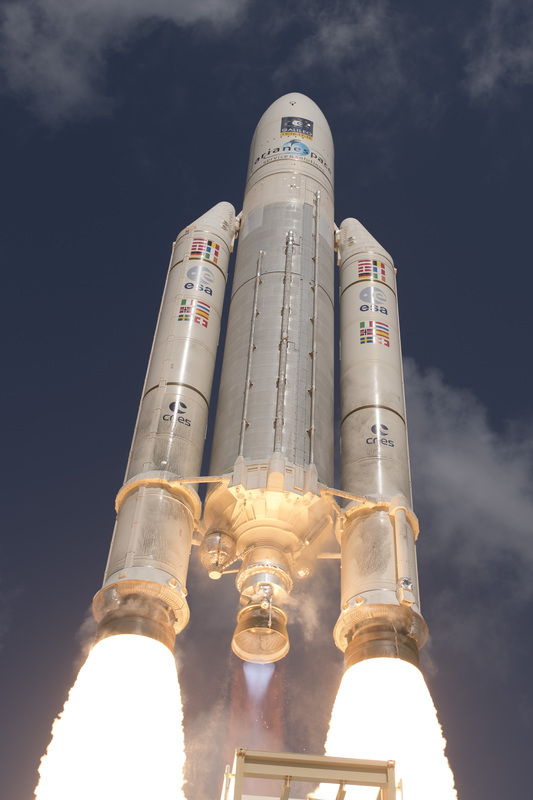 Over the course of a two-hour sequence, Ariane 5 will receive 174 metric tons of supercold propellants, then being topped up at flight level for the rest of the countdown. A repetition of telemetry checks inside L-90 minutes will clear the way for the satellites to transition to onboard power and a final set of preparatory steps on the launcher side to get ready for the critical seven-minute Synchronized Sequence. Switching into fully computer-controlled mode, Ariane 5 will check off its final countdown milestones – notably the pressurization of tanks, the transfer to internal power, pyrotechnics activation and the handoff to Ariane’s computers four seconds before ignition. With a thrust of 1,420 metric ton-force, Ariane 5 will climb vertically for the first seven seconds of its flight before pitching and rolling on a due-easterly departure path, embarking on a 20-minute flight across the Atlantic. The boosters will deliver 90% of the vehicle’s total thrust during the initial flight phase, providing the kick necessary to send over ten metric tons into a high-energy transfer orbit. Ariane 5 will pass the sound barrier 49 seconds into the flight before hitting Maximum Dynamic Pressure just after the T+1-minute mark. The twin boosters will finish their job two minutes and 22 seconds into the mission via a pyrotechnic separation from the core stage which will continue uphill powered by the single Vulcain 2 main engine, guzzling down 300 Kilograms of cryogenics every second of flight. Three minutes and 15 seconds into the flight, Ariane 5 will be sufficiently high in altitude to drop its two fairing halves, revealing the dual-payload stack for the rest of the journey into orbit. The core stage will shut down at T+8 minutes and 53 seconds and separate from the upper stage six seconds later to clear the way for ignition of the 62.7-Kilonewton HM-7B engine at T+9:03. 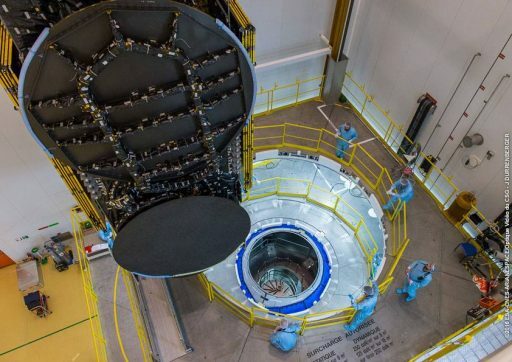 The upper stage will fire for 16 minutes and 20 seconds to boost the vehicle’s speed to 9.4 Kilometers per second in order to reach the desired elliptical orbit. After injection, 25 minutes into the flight, Stage 2 will employ its Hydrazine thrusters for an elaborate orbital dance – separating Star One D1 at T+29 minutes, dropping off the Sylda at T+32 minutes and sending off JCSat-15 at T+43 minutes – all headed into slightly different directions to ensure no close encounters in the hours and days after launch. For Ariane 5, the mission ends after one hour and 15 minutes with the usual avoidance maneuvers and passivation of the second stage by venting propellant tanks and powering down systems.